So far, the idea behind these rankings, and helpful additions such as the “Key,” has been to help you navigate the mid-to-end of the drafts. I have discussed at different times the value of players and how certain traits may pertain to the fantasy team or outfield you have already built. That is why these players and the conversations about these players are different: with these players you’re likely from or near starting from scratch. As the image suggests, these are the gold medal players. The elite. How you want to categorically start your team may be different from owner to owner, but the difference between Mike Trout and Charlie Blackmon will never come down to what statistics you “already have.” The players in the front half of this list, ideally, would represent someone that will be your team’s best outfielder. Because of this, the key has been removed. Because, while Cespedes might have a health question mark and Hamilton may only be valuable for speed, at this point of the draft it’s about what the player is going to provide, and not the defining flaws of the lower ranks. The OBP modifier from last week, however, will still be available for those in OBP leagues. As was the case last week, each player has been given a projection. Each projection is listed as Batting Average/On-Base Percentage, HRs, Rs, RBIs, and SBs. The OBP Modifier is broken into quartile ranges, with red, orange, green, and blue representing a player’s relative strength in an OBP league. If a player’s OBP is colored red then, this would suggest a player who has a significantly reduced value, at least in terms of OBP, in an OBP league, just as if a player’s OBP is colored blue, then the player would be a significantly greater value in an OBP league. **A quick note about the OBP Modifier; the ranges are based on data from 2016 from the top 250 players in fantasy. Due to this, a large proportion of players at the top of the draft are in the upper percentile of walkers. Still, I find the tool useful particularly in the second half of the list. Pham has the speed and power to justify a better ranking. Trouble is, he’s also one of the biggest talent question marks on this list. Pham managed to put it all together in 2017, but he’s still a questionable hitter. If there were one player of which having the key would make sense, it would be Yoenis, who is knocked primarily due to health reasons. A fully healthy Cespedes has the potential to be a BA/HR/RBI powerhouse. Kiermaier has put up 27 HRs and 37 SBs over his last 835 PAs and two partial seasons. He also posted a solid .276 BA in 2017. If Kiermaier can stay healthy for a full season, he represents someone who has top 15 OF upside. Ian Desmond has three traits that very few players have in baseball: Speed, power, and the ability to call Coors field home. Perhaps the first true surprise on this list, I am not yet confident in Rhys Hoskins’ ability to sustain success right away at the major league level. That isn’t to say I think he’ll be an awful hitter either this year or in the future, but I think the confidence heaped on him at this point is premature, and I’d rather take a more reliable power source like the next guy. While not flashy from a statistical standpoint, aside from the power, Davis possesses a rare consistent 40-HR bat and does so while playing in one of the toughest power parks in baseball. The Speed Demon, Hamilton cracked 50 SBs again in 2017, and continues to be a player with significant value– if you build your team around him correctly. My #1 preseason outfield Bargain, Inciarte was a top 50 player in 2017 and I expect similar results in 2018. The power may take a dip, but a .300 hitting lead-off hitter who steals 20-25 bags is very valuable. Plus if certain young members of the Braves take a step forward, he could be at the top of at least a strong top of the order. A player with a lot of swing-and-miss in his game, Domingo Santana also has a ton of power, speed, and the ability to hit the ball really hard. The K’s will always be a problem and add a level of risk to the profile, but Santana is a good bet to keep a good enough average for his Power and Speed to play for fantasy teams. Injured or suspended most years, Marte is a speed-first fantasy asset while he’s healthy. The real question comes down to whether or not the power, which has fluctuated over the years, can be good enough to bump him into that next tier, or if it won’t show up at all and cause his non-SB metrics to be a bit more empty. A player with a fair share of flaws, Buxton makes up for them with speed and the ability to hit some homers. Some of the games may not be pretty and there’s still some risk that he falls apart completely, but last year was an encouraging step in the right direction for me with Buxton, and for that reason I have him as a top 15 OFer. One of the bigger breakouts in 2017, Ozuna figures to maintain his status as a BA/HR/RBI stud on his move from Miami to St. Louis. The numbers may not be quite as good as last year, but Ozuna is very legit as both a power and average hitter in my eyes. Finally allowed to settle into a long term environment, Justin Upton is in the best situation to thrive that he’s had in a long time. Upton figures to provide power and chip in some speed as well. While Judge shocked the world with his Bronx Bomber season to remember in 2017, I think there’s definitely reason to pump the breaks. Being a high K% hitter alone with such a small sample seems to leave Judge up to a high level of variability. Plus, I am not a fan of the shoulder injuries he has dealt with over the past year. A natural and polished hitter at a young age, Benintendi showed in 2017 that he has the speed and the power as well, and looks to be a true five category contributor. While similar to Judge in many respects, I do believe that Bellinger is a bit safer. That may be a hard opinion for me to justify, and it may just come down to one of evaluating tools. While I do believe that there’s risk here just like any other young player, I find Bellinger to be someone I’m fairly confident in producing at least a .260 BA and 40 HRs with the chance for that to be significantly better. Now wearing Red Sox, JD will look to continue his torrid 2017 while battling it out with the Green Monster. While JD does figure to hit a fair number of bombs over that monster, what impresses me the most about JD is the fact that his power is actually not so much pull power as it is all fields power. JD hits homers to Left, Center, and Right, and does so quite frequently. As much as I’d like to, particularly with Stanton playing in Yankee Stadium, I’m not yet ready to rid my head of the fragile tag Stanton earned over the previous four to five years. I like Stanton, and would love to have him in a fantasy league or two, but there’s simply six guys I’d rather have on this list. The past three years for Springer have constituted a gradual evolution from improved contact hitter with lesser power to someone who strikes out under 20% of the time and generates a ton of power. I love Springer this year as someone who could return potential first round value if all things go well. I love the skillset with Mookie, but a few things in his 2017 concern me. I want to see him swing at a few more pitches (Swing% one of the lowest in baseball) and I want to see him try to do something with the ball other than pull it. Mookie’s batted ball data isn’t great, and I’m worried the BA will not be great again, but Mookie still has enough power and speed to carry him as a top 5 OFer. There’s not much to say about Bryce Harper other than that for me, this ranking is directly tied to durability. I’d probably have Harper second overall if it weren’t for these concerns, but they’ve been established as too relevant to ignore over the course of his career, particularly at this drafting level and with these high quality players to compete with. The two members of the Cubs’ future Bry-Bry alliance ranked together, Kris Bryant is a player who didn’t have a power spike in 2017, despite what the league was doing. I don’t see this happening again. Bryant has all the tools to be one of the best four category contributors in baseball while also chipping in speed. A player I absolutely adore heading into 2017, Blackmon’s combination of power, elite Runs and BA, and some speed is rare and worth a top 3 pick. For more material of my own, I will be releasing my full rankings set in the next few days. 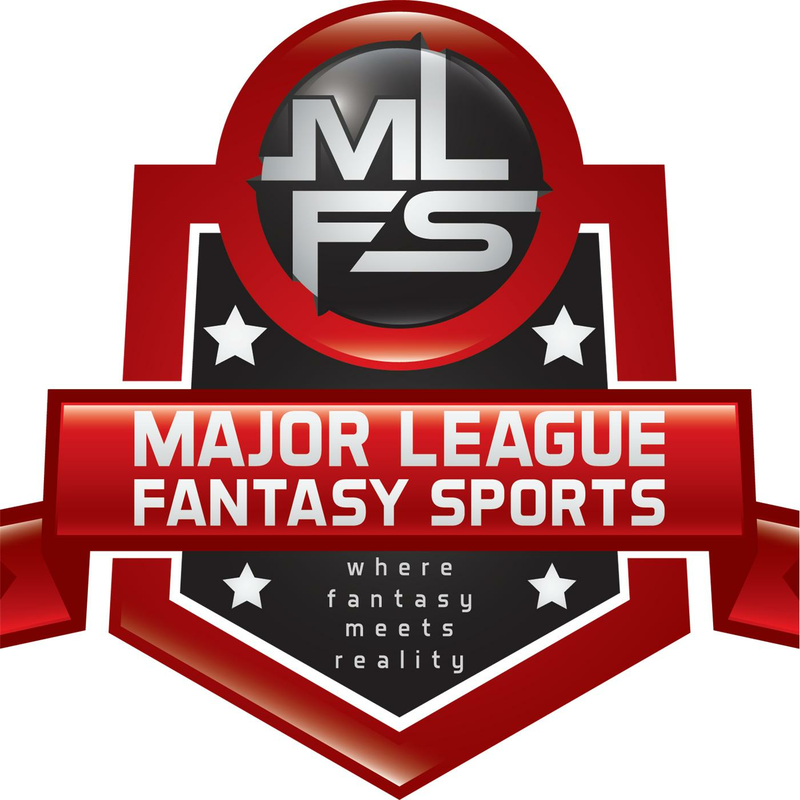 Major Fantasy Basbeall Radio Show: Join Corey D Roberts, and Kyle Amore live on Thursday March 8th, 2018 from 8-9:30pm EST for episode #104 of Major League Fantasy Baseball Radio. We are a live broadcast that will take callers at 323-870-4395. Press 1 to speak with the host. We will the latest information in the world of fantasy baseball. Our guests this week are Todd Zola and Joe Iannone. Todd is the owner of mastersball.com. He is also a well known and respected man in the fantasy baseball community. Joe is a tenured writer with majorleaguefantasysports.com. Click on his name to see his portfolio of writing. His main focus is in the pitching arena and his articles publish every Sunday morning at 7 am EST. “65 Mustangs” Pick Your Spots: 2018 Catcher Rankings: #1-16 Plus a Few More for Fun.